The main character in this story is a hit man and he has always hated kids. Now his employer, Chadwick, has told him to kidnap some. Their father owes Chadwick some money, but won’t pay up. He has even hired a golem bodyguard. While the golem is busy guarding his body though. Who is guarding the kids? Not a soul. So the hired-gun picks up the kids and drives around with them for a few hours while he waits for Chadwick to call and tell him that their father has payed up. It turns out to be a long wait though, and the girl is especially troublesome. “Where the f’*@# are you taking us?” she demands. The hit man is stunned by how expertly her young lips form the words. Who the hell is this girl, he wonders, and where did she get her mouth? He was expecting rug rats, but has got wharf rats instead. It’s going to be a stressful job and, just to make matters worse, he has just quit smoking. Weston Ochse narrates this story himself. It’s a great little tale and I don’t think that anybody could do a better job of reading it. This is a horror story, but it is filled with humour and, although I have listened to it many times, it never fails to make me smile. The scene in the diner is particularly funny and I just pray to God that I never have to eat in a joint where the waitress looks like that. Like what? I hear you ask, and I would like to tell you, but, do you know what? 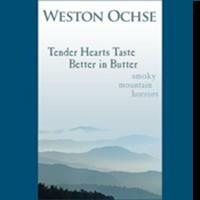 Nobody on the face of this planet could do a better job of telling you than Weston Ochse, so if you want to find out you will have to get hold of a copy of the audio book and get the story from Ochse himself. One word of warning though, if you are eating a burger, just about to eat a burger, or have the intention of pursuing any burger-related eating activity in the near future . . . well . . . you might want to put it off for a while and listen on a non-burger day. “Tender Hearts Taste Better in Butter” has a runtime of about twenty-one minutes. It is available to buy as a single download and is also included in the audiobook anthology Smoky Mountain Horrors.